Research says that only 8 percent of even the most determined Americans keep their New Year’s resolutions. Think about it: The salad has barely wilted … and we’re ordering french fries. Why? There are lots of reasons, but experts agree that chief among them is a lack of social support. Going it alone almost always guarantees failure. Luckily, most of us have access to one of the most powerful social units around: the family. So why not make this the year we keep our resolutions? No matter what your resolutions were on January 1, challenge yourself and your family to stick with them throughout the year. One great way to do this is to include the family pet. He or she has a lot to contribute to the process. In fact, animals are often the best role models, helping us see what matters most in life and showing us how to live in the world with others — and to do so without judgment. Say “good morning” and “welcome home.” (Achieving Awareness. Finding Feelings.) If you have pets, you know they hate to see you leave and love it when you come home. Your family isn’t much different. So even when morning schedules make for hectic breakfasts, take time to talk. Ask your children what they’re excited or anxious about for the coming day. See this as an opportunity to help them sort out their feelings and let them know how much you care. You can also give them ideas about what to do to feel calmer. Each day is a fresh start, a time to let go of residual frustration or disappointment. And when they come home at the end of the day, make that reunion something special. Engage in casual but sensitive debriefing. Ask about the things they were nervous our excited about in the morning. And tell them about your day, too. Respect each other. (Achieving Awareness. Encouraging Empathy. Cultivating Cooperation. Dealing with Decisions.) Family meetings are perfect for involving everyone equally and demonstrating respect. Scheduling the meeting is the first step. Make sure everyone knows about it and is available to attend. Family meetings are excellent power-sharing opportunities, as well as a way to make sure all family members are seen and heard. When kids are acknowledged as valuable family stakeholders they’ll feel more invested in home life. Respect begins with recognition, which supports self-esteem — and self-esteem is fundamental to the development of good, empathetic decision-making. Eat one meal together at least five times a week. (Finding Feelings. Encouraging Empathy. Cultivating Cooperation.) Time to put away those “devices” and talk. Preparing food together, sitting down to eat and talk, and then cleaning up afterward can solidify family relationships and encourage social interactions that reach far beyond the table. Sharing meals means sharing ideas, stories, and above all, time. Consider talking about the pets you had as a child. Research shows that thinking and talking about animals can have positive effects. Talking about animals — especially imagining the experiences of shelter pets — is a fun and enlightening way to introduce your children to a wide range of ideas and values: how animals and people are alike and different; how individuals within species are alike and different. By finding similarities and honoring differences we support the development of empathy and compassion. Play together. (Encouraging Empathy. Cultivating Cooperation. Finding Feelings.) Play leads to laughter, and laughter supports mental and physical health. Our pets might not laugh, but they certainly can play. A dog with a Frisbee or a cat with a wand toy…what do they have in common? The joy of movement and the pleasure of satisfying their natural instincts.See if you and your children can invent a game tailored to the personality and abilities of your family’s dog or cat. Your kids will have to put themselves into the mind of their pet, think about what the pet likes and is good at, and then devise a game to bring out the best in their best friend. Combining pets with play — even in word games — brings another dimension of fun to many family activities. And laughing, being silly, and relaxing together creates powerful bonds of affection and memory. Look beyond ourselves. (Achieving Awareness. Finding Feelings. Encouraging Empathy. Cultivating Cooperation. Dealing with Decisions.) Our pets have the power to tell us a lot about ourselves and, at the same time, expand our vision of the world and enrich our connections with others. They help us think beyond the limits of our own species and connect with our communities. They can also strengthen our family connections. For many, this leads to volunteerism. Consider volunteering as a family at your local animal shelter. Or if that isn’t possible, perhaps your children would like to organize a food drive or a fundraiser for the animals. Get involved. You’ll show your children that you share their passion and their compassion. You’ll also help them develop as responsible, resilient citizens who want to make a difference in their communities and can stand up for the things they value. These are just a few suggestions to help you keep simple resolutions throughout 2019. 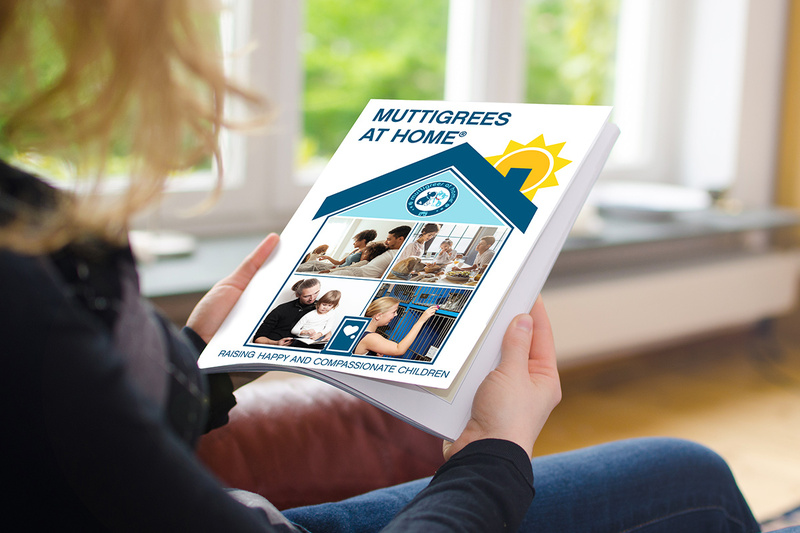 Our Muttigrees At Home resource book is rich with ideas like these.